Why concern yourself with the grind of your coffee? The grind of your coffee beans (and its exposure to water) has the greatest impact on the flavor of your coffee. Without properly ground coffee, you will not get a proper extraction of the flavors within the coffee bean. This is how you can end up with a weak, bitter, or sour cup. If you consider for a moment what coffee brewing is, you'll realize its quite simple. Water + coffee beans = coffee. If you were to pour hot water over whole coffee beans, it would extract chemicals from the beans and create a coffee-like beverage. The chemicals (aka flavors) from the surface of the bean would be extracted much more than those of the inner portion of the bean. It would be quite impractical and inadvisable to do this. If you then cut all of the beans in half and did the same, you'd have close to double the surface area to expose to the hot water and extract flavor. This concept scales all the way to the finest grind such as the fine ground coffee you might use for turkish coffee or an espresso machine. With that knowledge, you can begin to understand that the size of the grind and the amount of time the ground coffee is exposed to water will regulate just how much of the coffee is extracted. The water part of the equation varies greatly depending on brew method so we'll focus on the size and the consistency of that size in your grind. 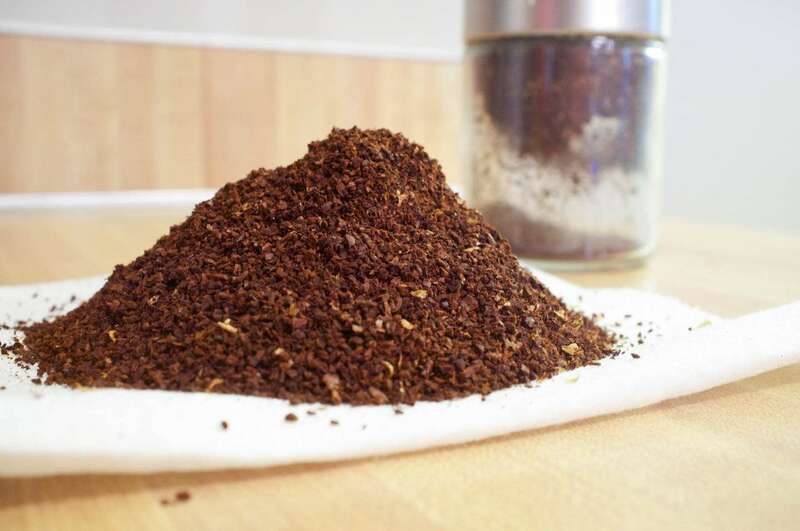 If your coffee grounds vary wildly in size, it makes sense that the extraction will be uneven. Some of your coffee will be over extracted (exposed to hot water for too long) and some will be under extracted (not exposed to water long enough). Under extracted coffee tastes sour and weak. Basically, the bad flavors have been extracted, but not enough of the good to balance the cup. Over extracted coffee tastes bitter and astringent and lacks the fruitiness and character of a good cup of coffee. How do we get a consistent grind? To get a consistent grind, your grinder needs to reduce whole coffee beans into particles of the desired size without grinding any of them too much or too little. This proves to be a difficult task for consumer level coffee grinders. Many different types of grinders exist. The type of grinder you use depends on the grind consistency, brew method, and price level that you prefer. The most common style of coffee grinder found in homes is a "blade style" grinder. This is basically a blade attached to a motor that spins and chops up your coffee beans. While the blade grinders are the most cost effective, this method leads to an extremely inconsistent grind. By the time you're done grinding your coffee, some of the particles have been chopped 1,000 times and some have been chopped 100. You end up with a grind like this. Here you can see chunks right next to very fine particles. This will cause a very uneven extraction. Another popular style of coffee grinder is the burr grinder. These come in many shapes and sizes but the concept is the same. A conical shaped burr attached to a motor (or a hand crank) sits within a fixed outer burr. Gravity feeds the coffee beans through the burrs. Once the coffee reaches the desired size, it falls through the burrs and is ready to be brewed. The vast majority of this coffee will be extracted evenly. 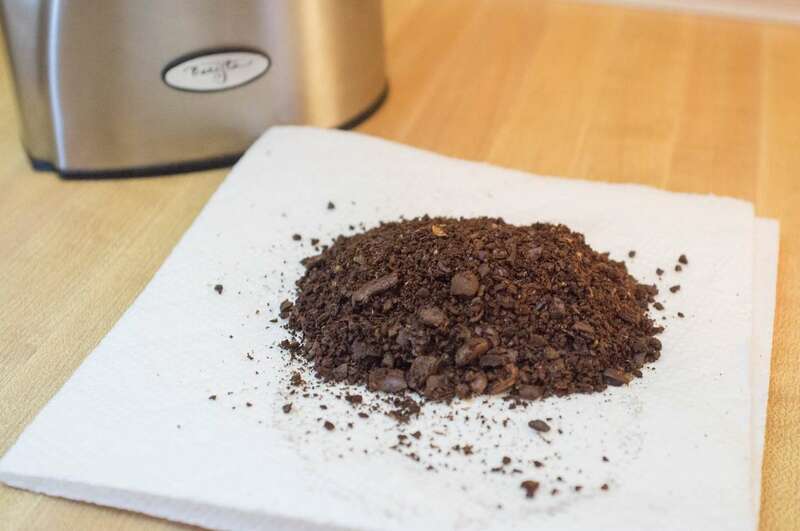 There are many other factors to consider when purchasing a grinder but grind consistency is the absolute most important one when your goal is quality. Unfortunately, that means all blade grinders are not a viable option for high quality coffee. That leaves you with the more expensive option, the burr grinder. The good news is that you can find manual, hand-powered burr grinders for the same price or cheaper than your average blade grinder. Take the extremely popular Hario Skerton for instance. 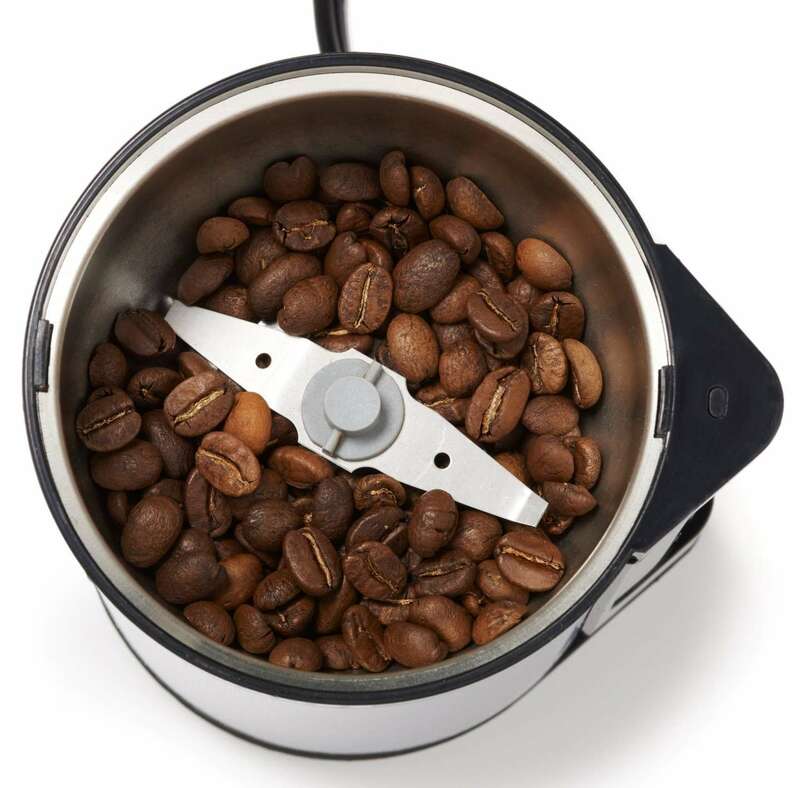 This grinder produces an excellent grind for every brew method more coarse than espresso. Examples include drip, pour-over, french press, and aeropress. The obvious drawback to the manual grinder is that they are manually powered. Many people end up preferring it this way because it becomes part of the ritual. Not to mention you save money on the grinder, it takes up less counter space, its portable (camping coffee anyone?) and it has fewer moving parts that can break. Still, there are many reasons to want an electric grinder. Convenience has its price though. To get a good quality grind in an electric grinder, you really shouldn't go any cheaper than the Baratza grinders. The encore being the cheapest. You can find the encore new for around $130 or refurbished closer to $100. You can, of course, spend as much or as little as you want but we recommend starting at this level and then at the $400 or so mark, you really start to see diminishing returns in terms of quality. You'll get more bells and whistles and maybe a much more beautiful piece of equipment, but the quality won't be much better than the cheaper alternatives. In an ideal world, you'd start brewing your coffee 3 or 4 days after it was roasted, store the beans in an airtight container making sure to finish off the coffee within 2 weeks, always grinding right before brewing. In the real world, as long as it wasn't sitting on the grocery shelf for a month, and you're not putting the beans in a damp basement, you probably won't notice any issues. As far as grinding right before brewing, this does actually make a difference. Coffee gets a noticeable stale taste after 20 minutes or so and gets worse as time progresses. Each brewing method works well with coffee ground within a certain range. This is because each brewing method exposes the coffee to water at different temperatures for different periods of time. As we learned earlier, this affects which chemicals are extracted and their quantity. The best way to determine the proper grind for your method is to experiment for yourself. Hold all other variables constant and change only the size of the grind to get scientific about it. The easiest way to determine the proper grind is to use conventional wisdom. Here's an image for reference. Below I have listed the brew method and the range, in numbers, from the image above. Also if you're looking for the more general descriptions you might find in recipes. 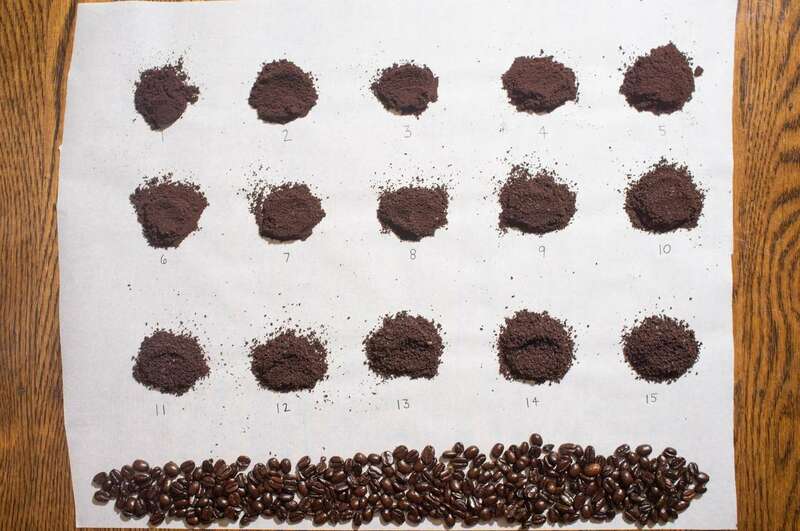 There is always more to cover when it comes to coffee but hopefully this is everything the average person needs to know about grinding coffee. As always, let me know what you think and if you find any egregious errors in my text, I'd love to know about them. Happy brewing!